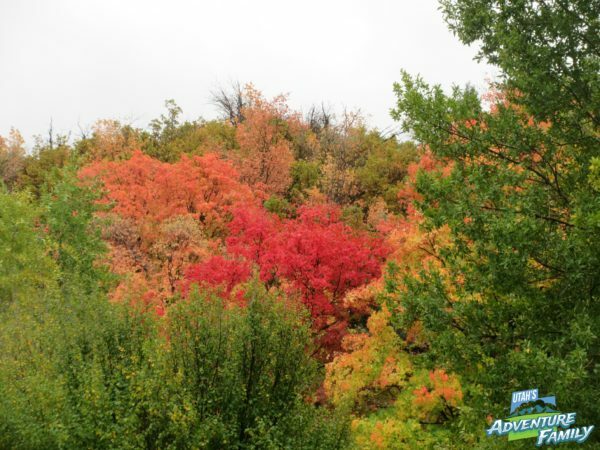 We love Fall in Utah, so we are always on the lookout for the best places to see the changing Fall leaves. 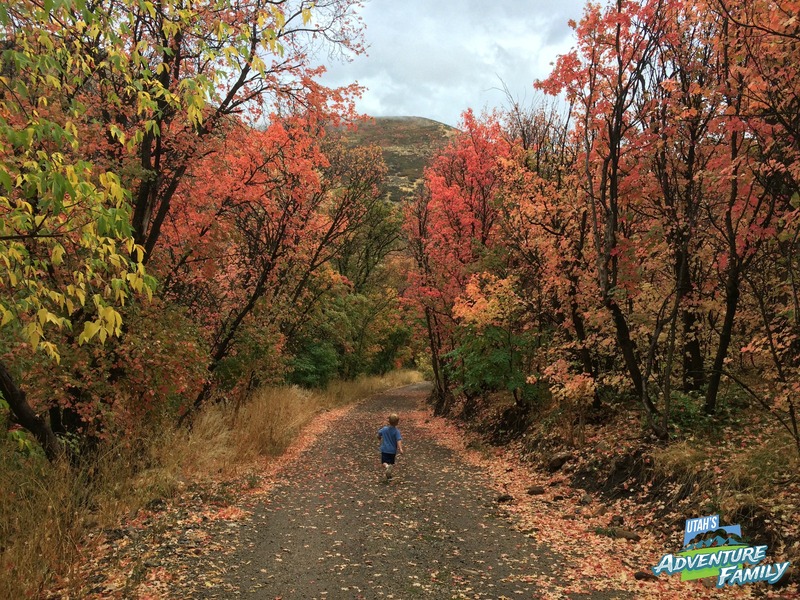 Our family loves finding amazing spots to enjoy the crisp autumn air and take great photos. 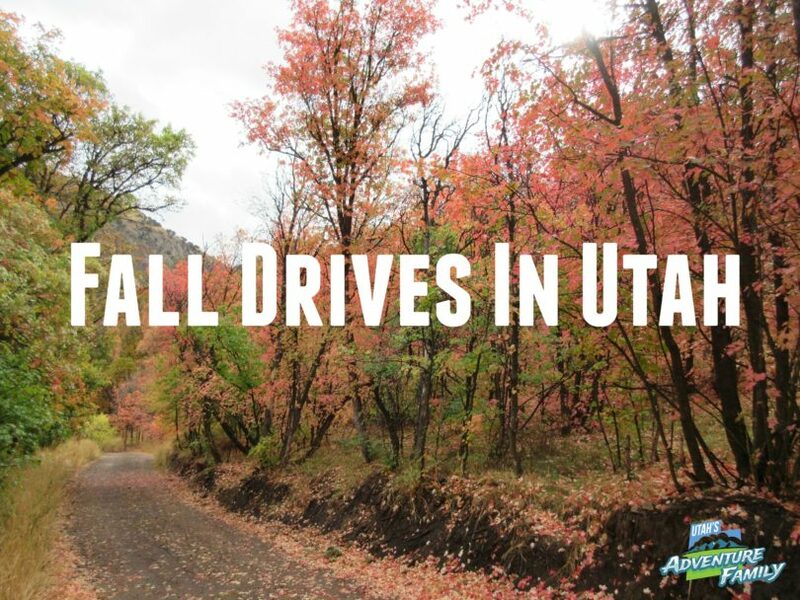 Here are our favorite Fall Drives in Utah. 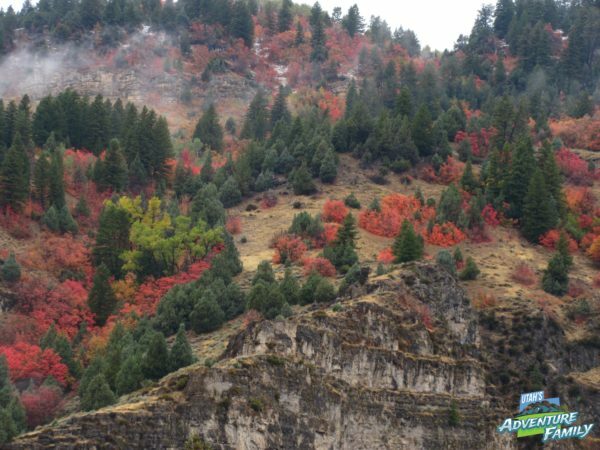 We love the yellows in Logan Canyon. 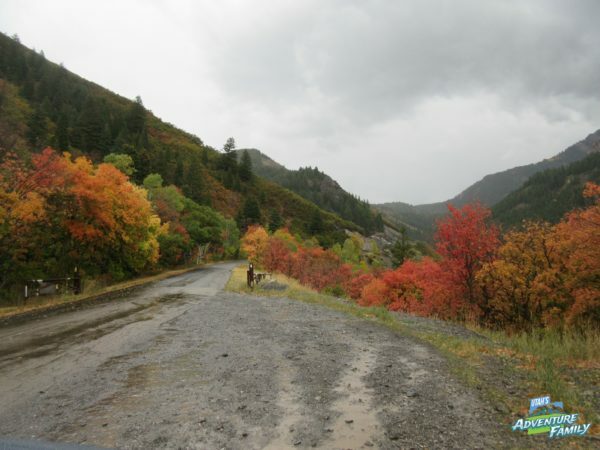 Logan Canyon is great for a Fall Drive because it is so long. 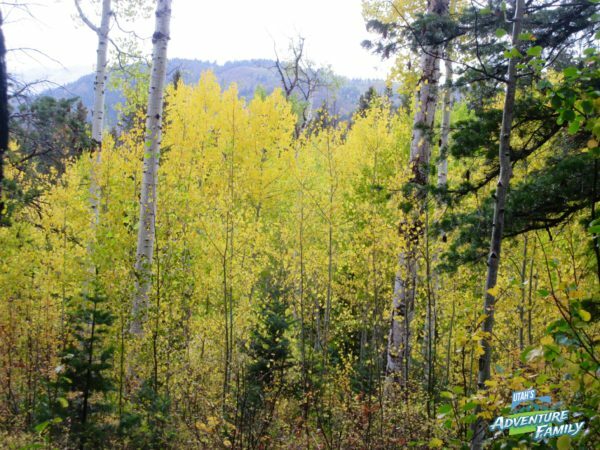 You begin by enjoying the red and orange maples, and even a few purples, but the further you go you start finding yellow aspens. We were amazed at the yellows here. They range from pale yellow to golden orange. We found plenty of pullouts along the way to take great pictures. 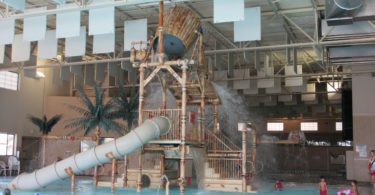 Logan Canyon is located in Logan, and you can enter the canyon near Utah Sate University. The mountainsides were full of color! We love when you can see so many colors all in one place. Logan Canyon is full of spots like this. We love the big towering walls in Big Cottonwood Canyon. 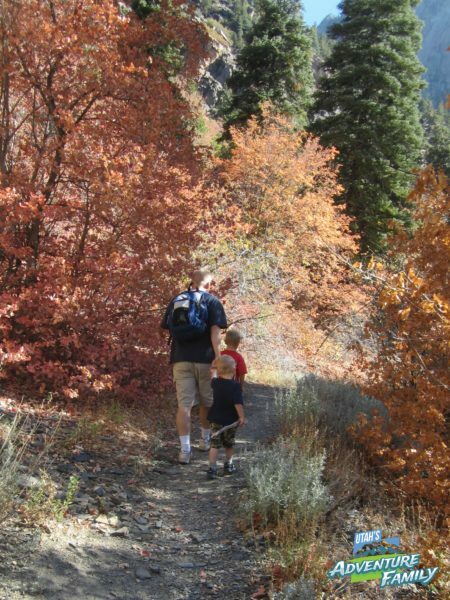 Big Cottonwood Canyon is filled with lots of fun hikes and adventures. We spend a lot of time hiking this canyon in the summer, but we found that the leaves here are beautiful in the Fall, too. We hiked Stairs Gulch in the fall and it was gorgeous. You can find Big Cottonwood Canyon in Salt Lake County. 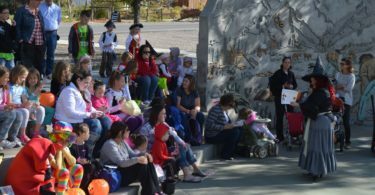 The canyon begins at the crossroads of Wasatch Blvd and Fort Union Blvd. 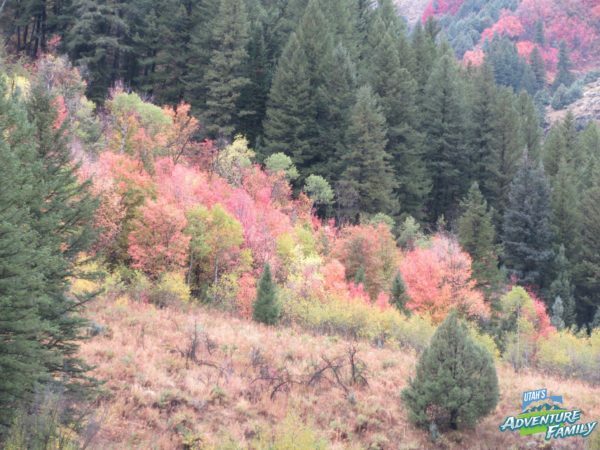 A lot of the great colors can be seen on the trails in Big Cottonwood. There were so many picturesque spots on the Stairs Gulch trail. This photo is from one of the picnic areas along the Alpine Loop. 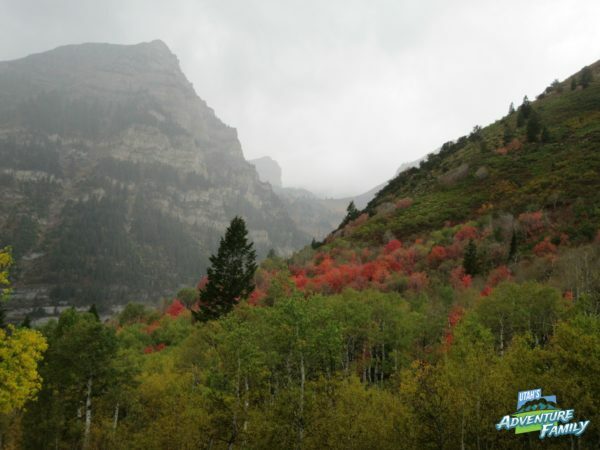 The Alpine Loop connects American Fork Canyon and Provo Canyon. We discovered that if you just drive the loop, there is no fee required. We always pay the $6 fee so that we can stop and have a picnic along the way, but we were excited to know that it isn’t required unless you are using their facilities. If you drive the loop, make sure to drive the road out to Tibble Fork Reservoir. We often find the most beautiful leaves here (2016: Tibber Fork Reservoir is under construction, but you can still drive out on the road and enjoy the leaves). We drove through on a wet, rainy day, but the colors were still bright and beautiful. 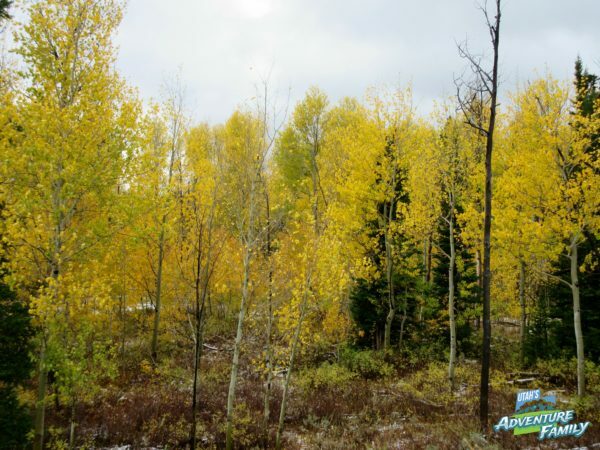 When you get up higher on the Alpine Loop, you will come to the yellow aspens. 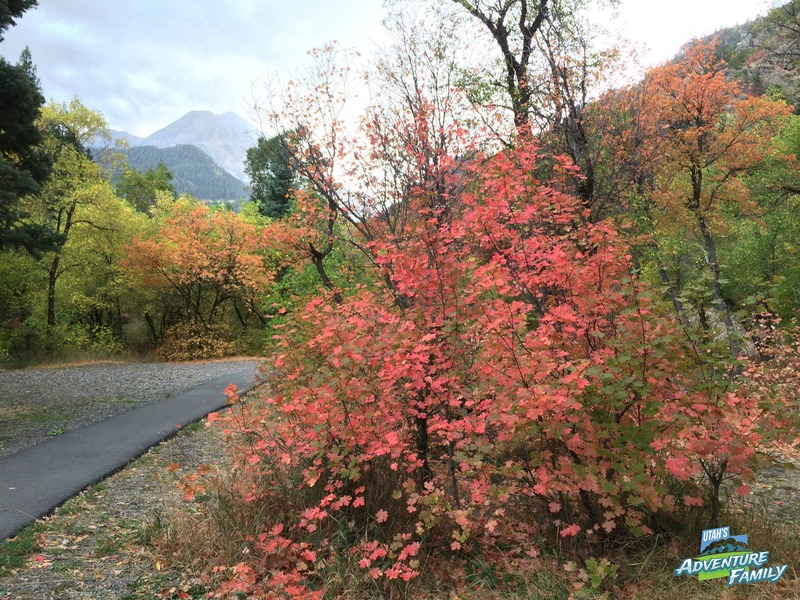 We loved these bright reds in Provo Canyon. 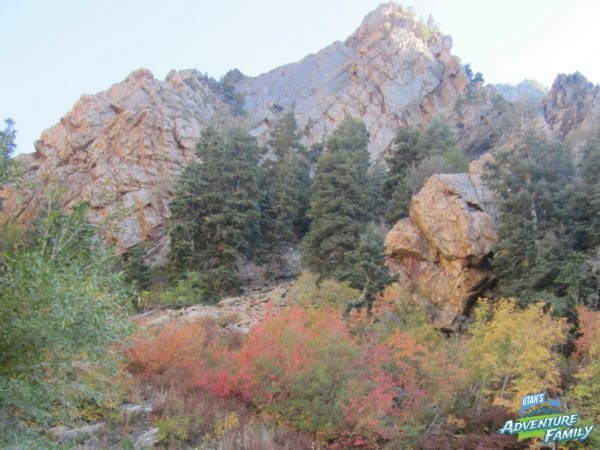 Provo Canyon has some great spots to enjoy the Fall colors. We are going to mention our three favorite stops. 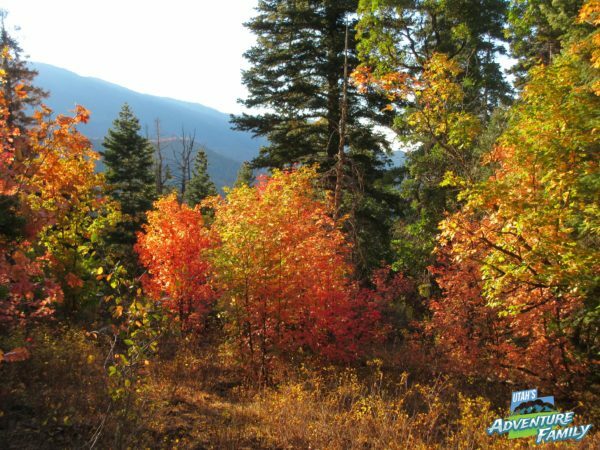 The Sundance area is beautiful during the Fall and it is before the fee area for the Alpine Loop, so you can explore around this area for free. After going through the tunnel as you drive from Provo to Heber, take a left toward Sundance (there is a sign). The mountains were filled with lots of color near Sundance. Squaw Peak road is a great drive anytime, but especially in the Fall. You can enjoy the leaves and end up at a great overview of the valley. Shortly after entering Provo Canyon, watch for a small sign for the Squaw Peak Road on the right side. 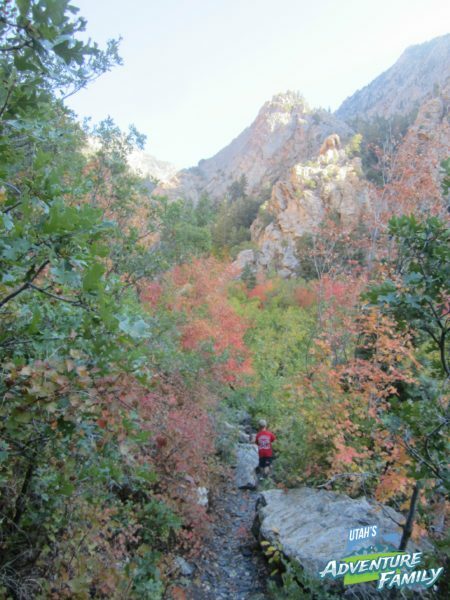 This is our favorite place to see bright colors in the Fall in Provo Canyon. South Fork Road is the road that begins at Vivian Park. Follow the road past South Fork Park and all the way to Big Springs. We love walking around Big Spring Park because the Fall colors are especially gorgeous there. Big Springs Parks is truly beautiful in the Fall. 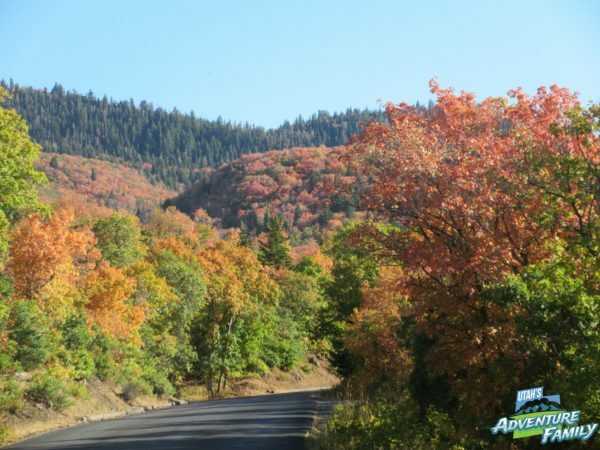 There is no better place to see fall foliage than the Nebo Loop. 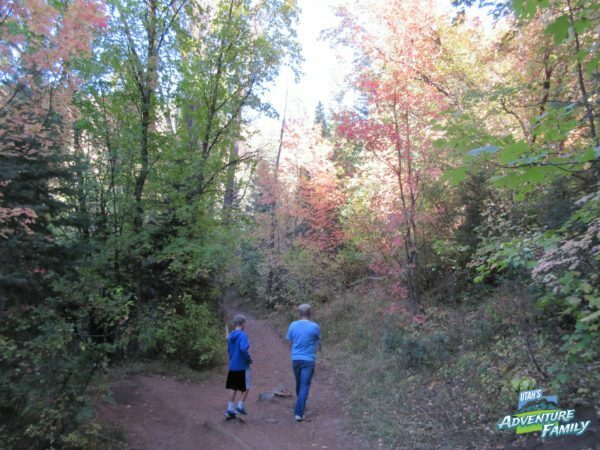 The Grotto Falls Trail is a fun, easy, family-friendly trail to walk in the fall. We always take lots of pictures along the Nebo Loop. The one spot that we visit every year without fail is the Nebo Loop. This drive never fails to amaze us. 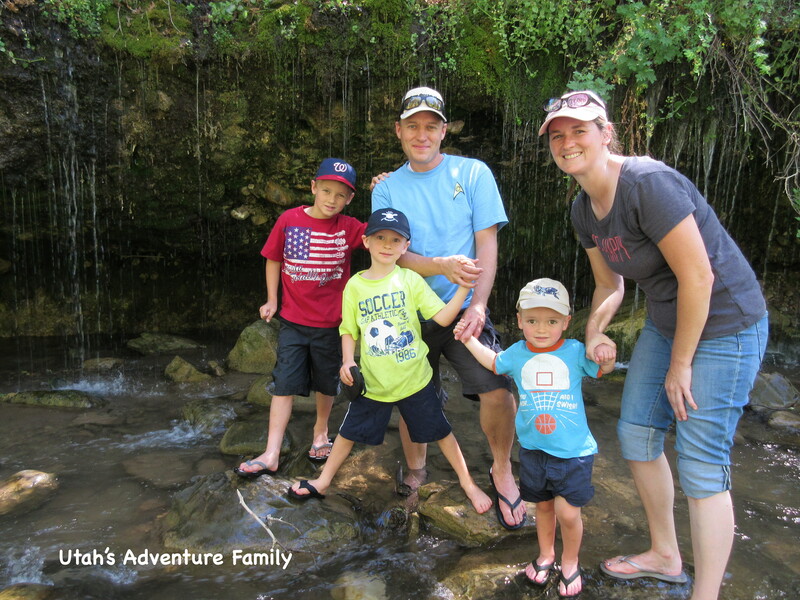 We also love a few places to get out and stretch our feet on the Nebo Loop, especially Grotto Falls which is such a fun family hike. The Nebo Loop begins in Payson, and ends in Salt Creek Canyon. We usually drive from Payson up to the Payson Lakes area, and then flip around because the drive is such a long one. To find the Nebo Loop, take exit 250 from the 1-15, and head east on 3200 W/Main Street. Turn left onto 100 N, and then take a right onto 600 E. This will take you right into the canyon.